I saw both brown and black bears on a recent Alaskan cruise, and identified with my ursine cousins who pack on weight before winter. I seem to have packed on a few pounds too this winter, and may have gone from ursine to porcine. Is it a coincidence that the upcoming Chinese New Year is the Year of the Pig? Somehow my mind always seems to be on food. When I first saw the listing for “Jay’s Chicago” in the WTTW guide, I thought it was a program about Chicago’s iconic Jay’s potato chips (are they still around?). I’ve been watching Jay’s Chicago since it debuted and have enjoyed every episode. The January 4th episode featured Barry Bauman, who founded the art restoration firm The Chicago Conservation Center in the 1980s. Thirty years ago Bauman restored three cherished portraits of my great-grandparents. Rhapsody, located in Uptown, is one of the restaurants participating in Chicago Restaurant Week through February 7. Chicago Restaurant Week continues through February 7. It’s a great way to try new restaurants or go back to ones you haven’t visited in a while. Some food writers have been ringing the death knell for French cuisine for years, but new restaurants featuring French food seem to pop up on a regular basis. I want to try Le Sud in Roscoe Village, Taureaux Tavern downtown on Van Buren, and Rhapsody on Argyle in Uptown. I’d also like to try Brass Heart, which is also in Uptown. You usually think of food festivals as summer, outdoor events, so a food festival in February? Savor Lincoln Park will be indoors at the Theater on the Lake on February 20. “Architect Talk: An Evening with Stanley Tigerman” takes place at the Chicago Architecture Center, February 28. When someone mentions the Chicago Seven, I’m old enough to associate the phrase with the seven defendants charged with various crimes related to protests at the 1968 Democratic National Convention held here in Chicago. I didn’t know there was another Chicago Seven — a group of architects who rallied against Miesian Modernism. Chicago architect Stanley Tigerman was a leader of this movement. “Architect Talk: An Evening with Stanley Tigerman” is at the Chicago Architecture Center, February 28. The Chicago Seven also refers to Preservation Chicago’s list of Chicago’s architecturally significant buildings, neighborhoods, and public spaces that are under threat of demolition. The list will be published this month. It’s the 100th anniversary of Bauhaus, the famed German art school. I missed “One Hundred Bauhaus: The Opening Festival” in Berlin last month, but closer to home is “The Whole World a Bauhaus,” an exhibit celebrating the 100th anniversary at the Elmhurst Art Museum, February 23-April 20. 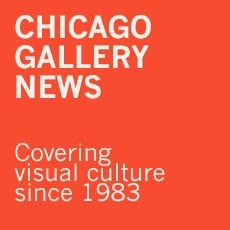 “Peter Murphy: 40 years of Bauhaus” takes place at the Rockefeller Chapel, February 23. “Bauhaus” is also the name of one of my favorite British bands from the 1980s. The band is playing Rockefeller Chapel at the University of Chicago on February 23 on a 40th anniversary tour. I picked up a copy of the UChicago Arts Magazine-Winter magazine in early January and was disappointed to see that the concert was already listed as “SOLD-OUT.” Perhaps I may still be able to snag a ticket to “Peter Murphy: 40 years of Bauhaus,” which is presented by the Empty Bottle in partnership with Rockefeller Chapel. The national tour of the Tony and Grammy Award-winning musical “Dear Evan Hansen” is at the Nederlander Theatre, formerly the Oriental Theatre, February 12-March 10. Universal Studios recently bought the film rights. The Chicago Shakespeare Theater on Navy Pier hosts “An Inspector Calls,” February 19-March 10. Photo by Mark Douet. The National Theatre of Great Britain international tour of J.B. Priestley’s “An Inspector Calls” comes to the Chicago Shakespeare Theater on Navy Pier, February 19-March 10. It’s been thirty years since the English National Ballet toured the United States, so I want to see the company perform the North American premiere of Akram Khan’s “Giselle” at the Harris Theater, February 28-March 2. The Chinese New Year Celebration at Symphony Center on February 10 will feature the China National Peking Opera Company and the Hubei Chime Bells National Chinese Orchestra. The Irish traditional music group The Chieftains performs on March 2 at Symphony Center and will help kick-off our St. Patrick’s Day festivities. Ike Holter’s “Red Rex” runs at Steep Theatre through March 2. Photo by Lee Miller. Chicago-based filmmaker Michael Glover Smith’s latest film is “Rendezvous in Chicago,” presented in three segments February 8-13 at the Gene Siskel Film Center. Chicago born chanteuse Ann Hampton Calloway performs “Jazz Goes to the Movies” at City Winery Chicago on February 27. Northwestern University grad, Gillian Flynn, has adapted the British TV series “Utopia” for Amazon. The nine-series remake will start filming in Chicago this month. Hubbard Street Dance Chicago and Malpaso Dance Company perform together at the Auditorium Theatre at Roosevelt University, March 2-3. Photo by Auditorium Theatre. Hubbard Street Dance Chicago and Cuba’s Malpaso Dance Company perform together for the first time and close out the “Made in Chicago 312 Dance Series” at the Auditorium Theatre at Roosevelt University, March 2-3. Just in time for Valentine’s Day, “Prisoner of Love,” an exhibition curated by Naomi Beckwith pulls objects on a rotating basis from the Museum of Contemporary Art’s vaults that deal with love and other human emotions, through October 27. The Museum of Contemporary Art also hosts “Laurie Simmons: Big Camera/Little Camera,” a retrospective of the photographer’s work, February 23-May 5. Laurie Simmons is the mother of actress, writer and director Lena Dunham. Just after Valentine’s Day, all parts of the Art Institute of Chicago (AIC) will be filled with art and music, as Pitchfork and the AIC present “Midwinter,” February 15-17. Ice skate above the Mag Mile at the Peninsula Sky Rink, open through the first week of March. Photo by Peninsula Chicago. January ended with record cold, and I am ready for winter to be behind us. A hopeful sign of impending warm weather is the closing of the Chicago Park District’s outdoor ice-skating rinks on February 18, though the Maggie Daley Park skating ribbon closes later, on March 10. For those who are not yet ready to give up skating, the Peninsula Sky Rink on top of the Peninsula Hotel Chicago is open through the first week of March. The skating fee covers skate rental and the rest goes to local charities. Skating high above the Mag Mile is magical, and I can confide that it’s a great way to burn off weight gained during the holiday season. This entry was posted in About the Town on February 3, 2019 by Kay Whitfield.